People have been fascinated by secrets since the dawn of time. Because secrets are knowledge that other people don`t have. In some cases, secrets can give you some kind of advantage compared to the rest of the crowd. As with most things worth achieving, people are looking for a secret formula on how to achieve the results quicker than the average Joe or Jane. This is also the case when it comes to blogging. I am quite certain than anyone who has ever started a blog, has at some point been crawling uphill banging their head against the wall (repeatedly). You have been reading all the 237 best blog posts about how to get traffic to your website, but you can`t understand why it doesn`t work. You have been buying 13 different courses from 13 different self-acclaimed blogging experts, but you have never been more confused in your whole life. Because your brain is being force-fed so much different type of information from different sources, which makes you suffer from information overflow. Most likely you will get a headache just thinking about all the contradicting tips from the different so-called gurus. If you are still at this stage, I know how you feel. 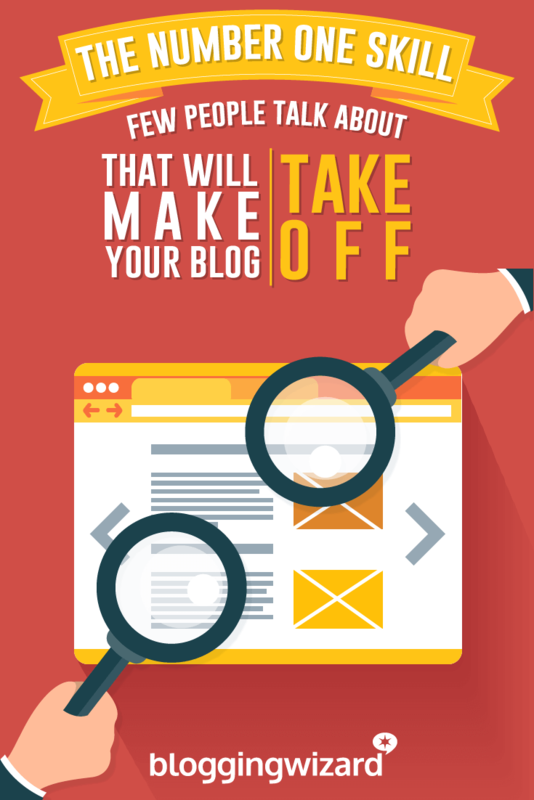 There is no secret magical formula on how to build a successful blog. If you don`t know what to do, you are wasting your time and procrastinating. But what`s even worse, the longer you’re idle, the more unsure you will become, and this will influence your self-esteem in a negative way. For more information about this, read my guest blog post at Sue Anne`s blog. If you don`t have the required tools available, you are not able to start your job. This should also be included in your plan in the section above. Needless to say, if you are going to perform an important income generating task on Wednesday, it`s crucial that the required tools are available. Let`s say you going on vacation with your family to a remote cottage, and you are planning on working on your blog. You need know if there is a reliable internet connection. If not, you need to do research and buy the necessary mobile internet gadget. There is no guarantee that you are able to go online through your cell phone. It`s too late to realize this when you are starting your laptop at the cottage. Do research and make sure you have the required tools BEFORE the key activity needs to be started. Have you ever tried to have a good conversation with someone when you’re at a concert? The band is playing loud music, people are singing along with the lyrics and other people around you are also trying to talk to each other by yelling. That`s how it feels for your brain when it`s trying to think surrounded by distractions. I close all other programs on the computer (no social media, no surfing and no email). Yes, you read correct. By the way, if you want to learn how to write a blog post in about half the time, read this article. Research have not only shown that multitasking doesn`t work, but also that it`s bad for your brain. You perform several tasks with below average quality. Your brain will become less effectively when you try to focus on a single task. Start counting down from 100 to 1 (A counting) and at the same time start counting from 1 to 100 (B counting). Say the number from A counting, then B counting, and then A counting again. You have to make a choice that you are going to become more focused and more productive. Start applying the steps above. Implementing the steps takes time. They say that it takes from 2 to 8 months, not 21 days, to do the same type of activity before it turns into a habit. Our goal is that these steps are turned into habits, so you don`t have to think about them. You just do them. It will be like brushing your teeth every morning and every night. Well this step is rather self-explanatory. If there is an important task that can`t be completed in the time you have available, divide it into smaller pieces. Then comes the more challenging part. When I say go into the zone, it`s a state of mind where you are not thinking about anything else than the task at hand. You have no reference of time or space. Nothing else in the world exists, besides what you are doing right now. Many people talk about entering the zone as some magical thing that might only happen once in a while, like in the movies where people turn into werewolves under a full moon. To that I have to say: it`s rubbish! It`s all about one thing. I follow the 6 steps above when I go into the zone and others use a similar approach. And by doing that, I can choose to enter the zone at will, regardless of whether it`s full moon or not. Find out exactly WHICH key activities you need to do for your blog. Find out in WHICH order those activities need to be performed. If you don`t know, ask someone who knows. Then apply the steps above and focus on one task at a time. The trick is to not let this be a one-time happening, but to manage staying motivated over time. Now you have the formula on how to improve your focus. Go out, stay focused and make your blog more successful! This is a guest post by Tor Refsland. Tor decided to leave his six-figure job in order to follow his passion - to help online entrepreneurs free up more time, so they can do what they love. Want to become more productive? Download his free eBook and learn how to DOUBLE your productivity in 7 days.